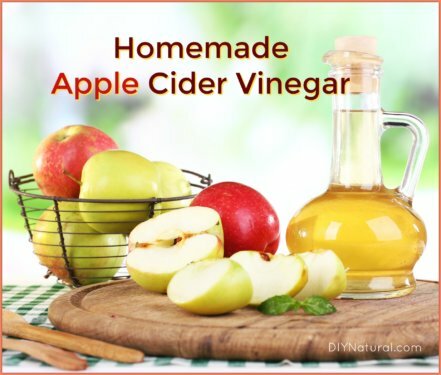 Home DIY Natural Blog Beauty 4 Homemade Beauty Recipes for Mother’s Day Gifts! 4 Homemade Beauty Recipes for Mother’s Day Gifts! Mother’s Day is quickly approaching and I’m starting to see so many advertisements for gifts. As a mom, however, I know that sometimes the simplest things are the best ones. I’d rather have my loved ones spend time actually thinking of me instead of buying a gift because they feel they have to. 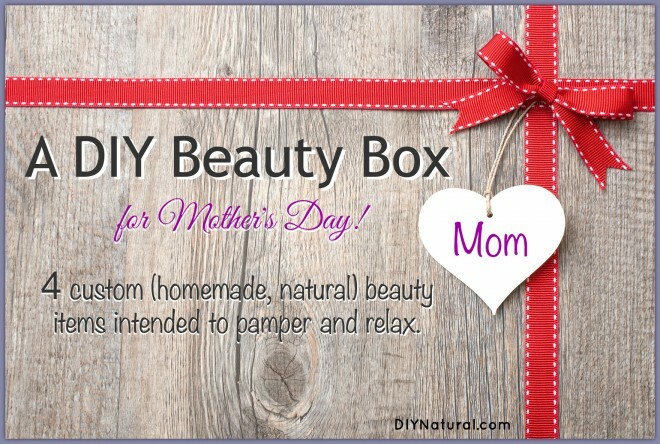 One of my favorite things to do for the amazing women in my life is to make them a homemade beauty box. These boxes contain custom beauty items intended to pamper and relax. They show thoughtfulness and are always received with delight! Inside the box, I’ll include a few extra items like emery boards, a good book, and some herbal teas. This will allow Mom to have a full day/evening of relaxation and pampering. Now on to some recipes. 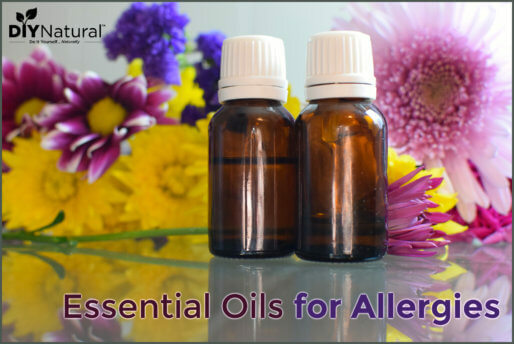 You can mix these up with different essential oils to suit your intended recipient or you can stick with my suggestions. Either way, these will be sure to please whomever you give them to. This scrub is perfect for the entire body. It will help smooth away dry skin and leave you feeling moisturized and clean. Combine sugar and sweet almond oil in a mason jar. Stir in lavender essential oil and lavender flowers. Body butters are easily meltable, very spreadable lotions. Your location will determine how hard or soft you will need to make your lotion as coconut oil melts at temperatures above 76 °F. If your body butter melts, no fear. Just place it in the refrigerator and it will harden. If you live in a warm climate, you may want to keep this refrigerated at all times. Melt coconut oil and shea butter in a small bowl and allow the oils to cool slightly. Add to the bowl of a standing mixer with the whisk attachment on. Mix until the oils have a whipped cream-like consistency (this step could take 1-2 hours). Add 8 drops of rose absolute and whip for another 1-2 minutes. Spoon into mason jars and tie with a pretty bow. I love to relax with this recipe. It is invigorating, cooling, and will leave mom in a relaxed state. 1-2 tablespoons are all that is needed for a sweet smelling aromatic bath. As always, be careful using peppermint essential oil. It is very strong, so less is more. Mix sea salt and Epsom salt together in a medium bowl. Scoop bath salts into a mason jar and tie on a measuring spoon with a cute bow. Add essential oils into a 2 oz. spray bottle. Pour in water using a funnel. Once you’ve made all of these recipes, you can package them up in a cute box and deliver them to your favorite mother. She will be delighted at your thoughtfulness and will have many hours of pampering ahead of her. If you are looking for other Mother’s Day ideas, see these DIY Mother’s Day Gift Ideas and Simple, Meaningful Mother’s Day Gifts. What about you? Are you planning any special DIY gifts for your mother? Share with us below! 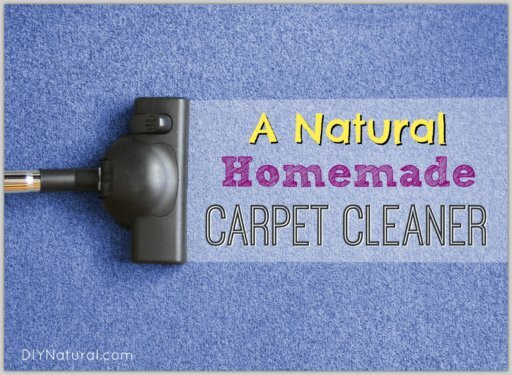 I haven’t worn perfume in years since my last pregnancy when anything with a strong smell would make me nauseous BUT this citrus body spray recipe looks fabulous – all natural and citrus! I happen to have all ingredients on hand to make a batch for myself. Happy Mother’s Day to me! These things are so nice! They all have a wholesome quality and smell great. Once you invest in essential oils you can never go back! I love these ideas! Lavender is my very favorite. So many amazing and wonderful natural ingredients to make lovely, inexpensive, and luxurious gifts! Can’t wait to try these. I’ve made things similar to all of these, except I’ve never scented my body butter with Rose. I bet it smells divine. I look forward to trying it the next time I’m ready to whip up a batch. It does smell amazing, Kariane!